Panoramic Wall 10C: Our Exhibit Component collection was developed by seasoned exhibit space designers. 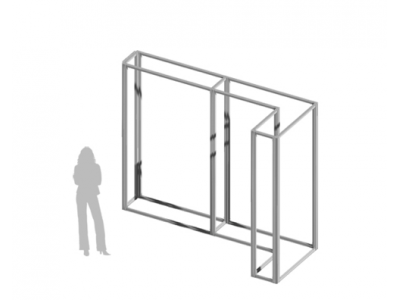 The collection reflects universal solutions that would work well alone or with existing exhibit spaces. 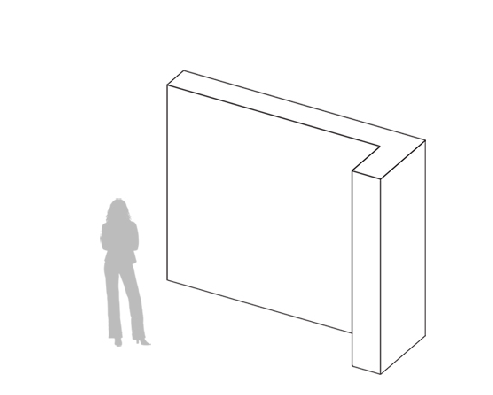 Save time in the design phase and select an existing Exhibit Component backwall to create a complete inline display. 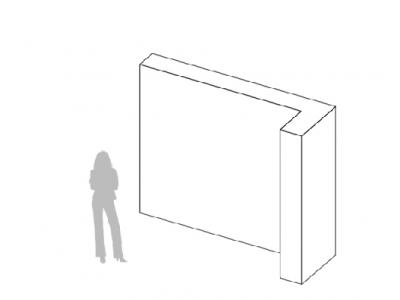 Add Backwalls to our Exhibit Component Rooms, Towers and Counters and your display will be complete for any space! Need a space definer at your next exhibit? Add one of these wall solutions. 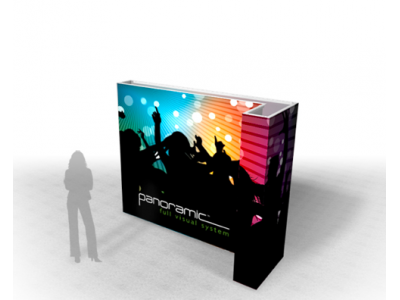 Since Panoramic™ only shows graphics, your artwork will carry the look and feel of any exhibit! 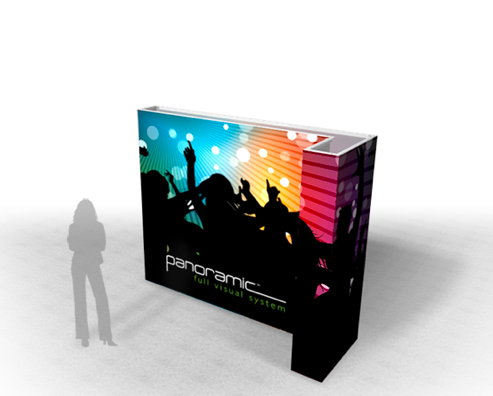 With Panoramic™, the entire display is covered with graphic so your image will be on both sides of the wall. One of the major suppliers of trade show graphic products is Optima Graphics in Fenton, Missouri; whose reputation is providing services and products in a very unique way. How are they different from the rest of their competition? Beyond all else, Optima appreciates your difficulties as a customer and business owner, and chooses to focus their attention instead on the long term relationships which helps them overcome present difficulties. Their vision is to be the first choice as far as vendors in the marketplace by carrying out these strategic goals in concert. They have an capability to consistently deliver above and beyond through great planning, providing information on present issues, and a consistent flow of new products for the future. If you look back to just a few years ago and realize the increase of high quality Lambda photo mural panels for pop up displays that they sold verses ink jet murals; a switch which started a trend in the whole industry. Their new products in the pop up displays arena have been extremely innovative, well received in the marketplace, and giant sellers with all their distributors. Optima Graphics has certainly made a big difference in the delivery of product to the trade show industry. Far too often the role the business owner plays in serving his or her customers, turns out to be the most important roll they can play. We can't be content to just take an order, process it, and move on to the next one. Most of our customers who approach us are in dire straights and need direction on what products to choose and which ones will work best in the particular situation that they're in. At ShopForExhibits, we're proud to have the qualified individuals on staff to truly offer objective advise, and allow our clients to grow from it. 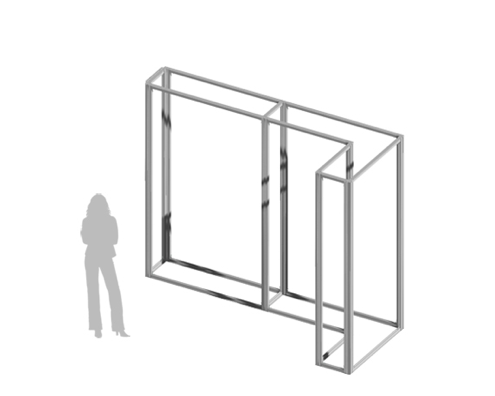 Panoramitm aluminum extrusion frame is a unique concept. The entire display is transformed into one continuous fabric graphic design. The exhibit structure truly becomes your brand image or message. The SEG (silicone edge graphic) fabric graphics are of the highest image quality and custom finished to match your specific design. The fabric graphics fold up making your entire display easy to store and transport.